Because Practice is What You Need! Are you struggling to master a new language? Here are some language learning tips you can follow to help you with the learning process. Winter Olympics vocabulary in Spanish: Learn the vocabulary in Spanish for all the winter sports played at the Winter Olympic games. 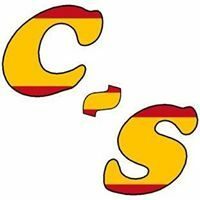 Learn here the colloquial Spanish food vocabulary: the everyday language Spaniards use when talking about food. Expressions, words and verbs. Here are the most common Spanish greetings used in Spain. Learn how to start properly a conversation like a local. Informal and formal ways. Audio included. El Tio de Nadal (Caga Tio or 'Poop Log') is a Catalan Christmas tradition, where the log is the main character. Learn here more about this unique tradition! Caganer is a figurine with its pants down doing its business that can't be missed in the Catalan nativity scene. Learn here more about this unique figurine! Don't know what Spanish grammar book to use? This post will help you to decide what book you can use to teach and to study Spanish. Confused about the Spanish verb haber? Here, a post with the essential concepts you need to know about this verb: uses and conjugations. How would you say: I used to run or I normally swim in Spanish? Learn here about a verb you can use for these instances. ConvoSpanish is a project with the belief that a language is better learnt through practice rather than just memorization. ConvoSpanish was founded by Inés C. U. in June of 2017. The main goal of this site is to provide resources to practice Spanish from everywhere.